It’s officially the “month of love”. Busy as you may be, abandoning your special someone at this particular time of year is not an option. Besides, it’s an excuse to take your quality time up a notch — or at least in a new direction — by spending it in a place you probably wouldn’t go to on a casual occasion. A hotel! Believe me, staying in a plush room with an ocean view, en-suite pool or dinner voucher for two could make that much of a difference. Here are 12 hotels in the Philippines to spend a romantic staycation and dinner date with your special partner! What could be more romantic than being surrounded by charming Fil-Hispanic architecture, a staff made of 100% Filipinos and a restaurant that serves entirely Filipino dishes? 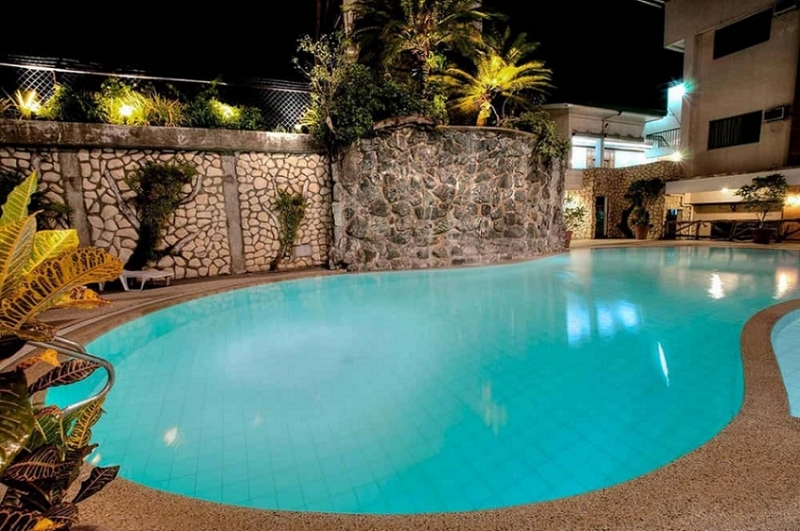 Located in vibrant Mandaluyong City, The Legend Villas surprisingly offers a tranquil place where couples, young and old, can find total fulfilment. The hotel’s restaurant, Lola Maria, actually pays homage to the grandmother of the Legend Hotels chairman. She’s known for her exceptional love for Filipino culture and, obviously, her own family! Book and stay until 17 Feb 2019 to avail the Suite For My Sweet promo by The Legend Villas! For ₱4,650, you can enjoy an overnight stay at one of the exquisite rooms of the hotel and a special three-course dinner at Lola Maria Restaurant. In addition, you’ll receive a complimentary bottle of wine and 20% discount on their buffet breakfast! 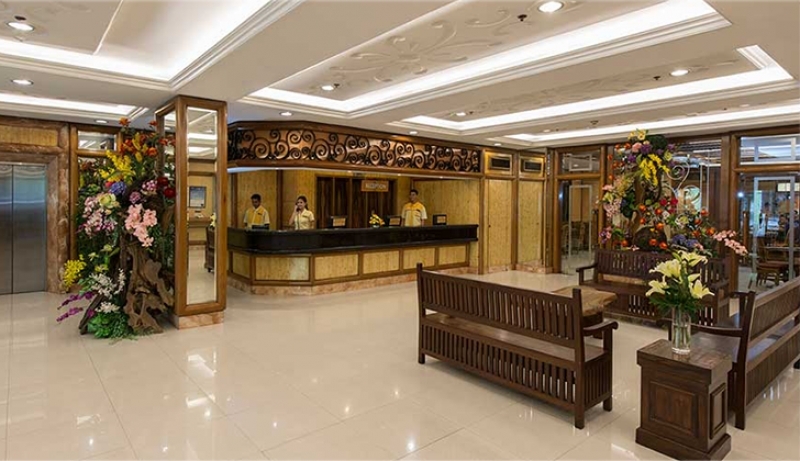 Like the previous hotel, Kabayan Hotel draws inspiration from Filipino culture, particularly our sense of community and the value we give to Overseas Filipino Workers. The hotel is one of the few accommodations around Pasay City that offers rooms on a budget, without compromising the quality of your stay. The more outgoing and “independent” couples should have no problem staying in their Kapsule Room. It already comes with lockers for your belongings. In addition, you’ll have a boatload of memories to take home just by hanging out at Pinoy Star Cafe or Sala Restaurant during dinnertime. Both venues serve all-Filipino food, including summer favourites halo-halo and sago’t gulaman! For the workaholic duo, Manila has something for you too! 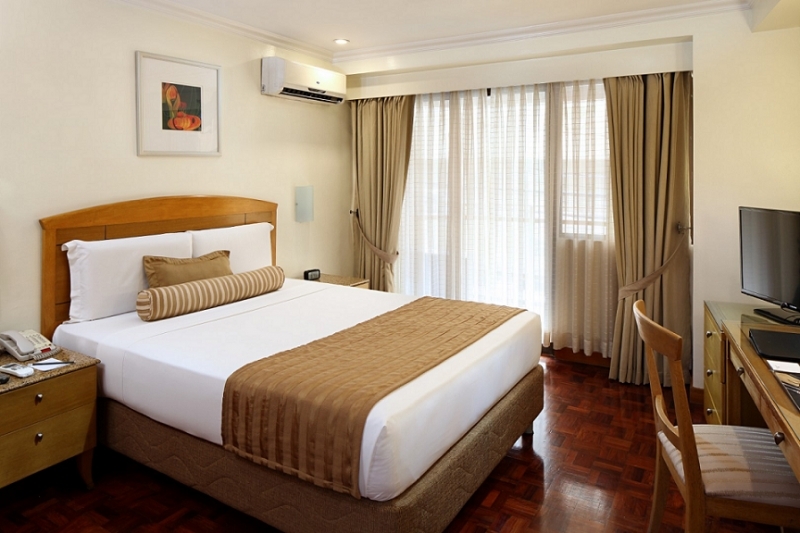 Set in the commercial and historical area of the city, City Garden Suites takes pride in its business-class facilities. 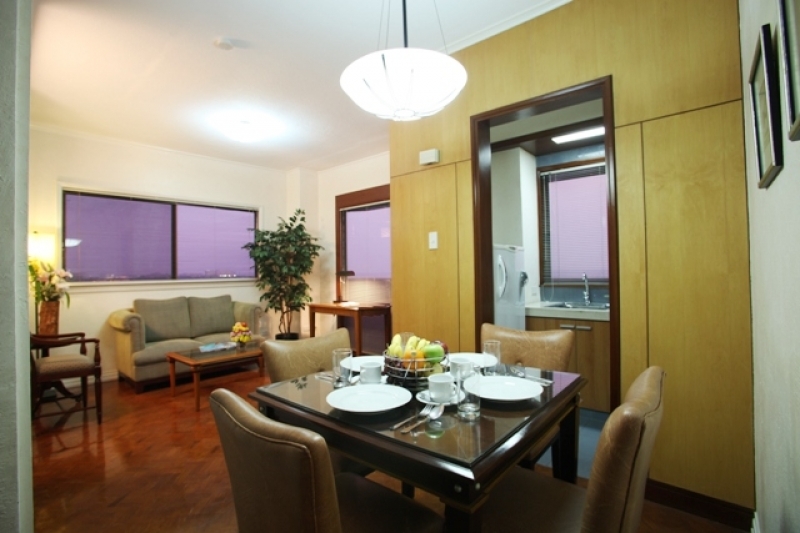 The 142-room hotel also provides easy access to Manila Bay, Intramuros and the National Museum of the Philippines. Interestingly, all three places are go-to destinations for different kinds of couples! After exploring the heart of Manila, treat yourselves to dinner at Cafe Miranda, which is open all the way till midnight. Choose from their local or international selection of fares while being served by amazingly accommodating staff which the restaurant has long been known for. Need help with planning your romantic stay at City Garden Suites? Make use of the ongoing Couple’s Sweet Escape. It lets you and your partner stay at a Deluxe Room, wind down with a massage and indulge in a romantic wine dinner at Cafe Miranda all in one package! You can also avail the affordable A Suite Valentine Treat. It includes a three-course meal, plus your choice of wine! Learn more about City Garden Suites on TripZillaSTAYS. No time to visit an art gallery? 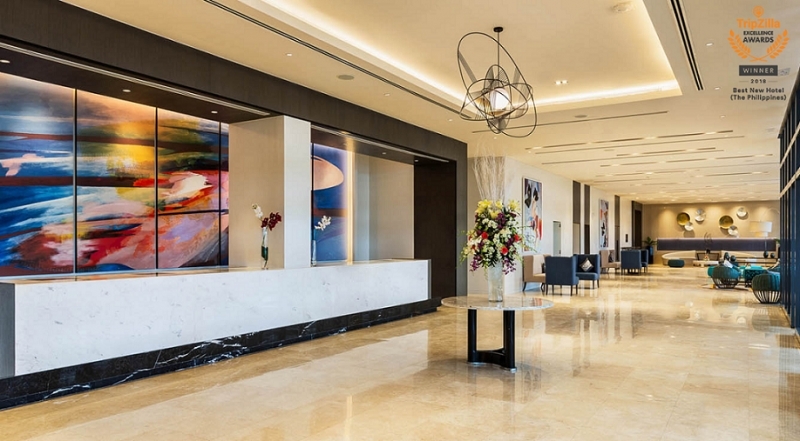 Directly in front of NAIA Terminal 3, Savoy Hotel Manila will give you just the same experience thanks to its innovative interior design and numerous art installations. With its well thought-out amenities, including a room overlooking the adjacent airport, you and your loved one can do much more than sleep your staycation away. 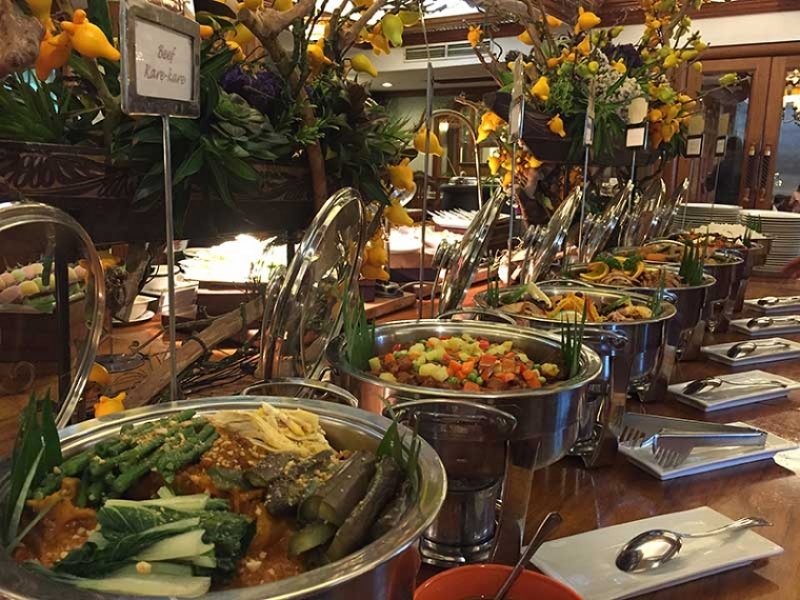 For dinner, head to Savoy Cafe for a taste of Asian and Western dishes. Otherwise, consider the restaurant’s in-room dining service. This ought to give you some time to devour the culinary offerings of the hotel at your own pace and in absolute privacy. Spend Valentine’s Day earlier than everyone else with Savoy Hotel Manila’s Stroke of Luck Chinese New Year buffet! 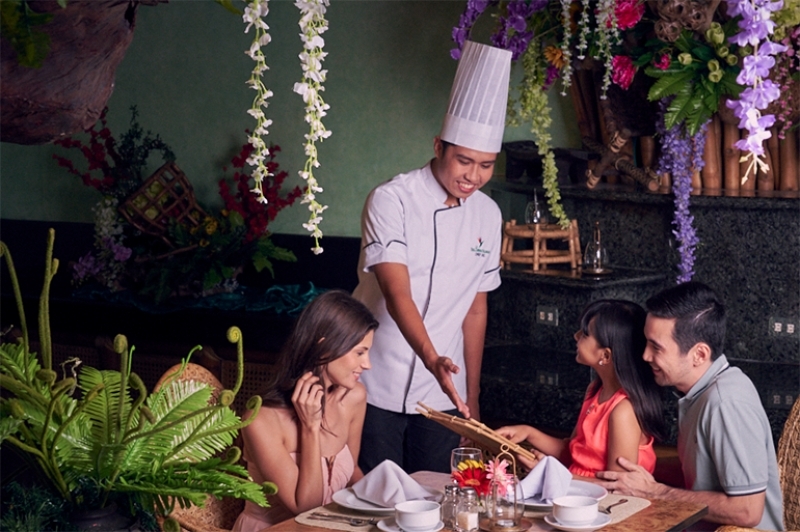 For ₱1,400 per person, you get to taste the exclusive fares prepared by guest chef Sofronio Ong at Savoy Cafe. The hotel also offers a year-round dinner buffet promo ideal for all foodie pairs! Strategically located near one of Metro Manila's busiest avenues, Hotel Benilde Maison De La Salle offers easy accessibility to couples from all around the Philippine capital and nearby provinces, Laguna and Cavite. 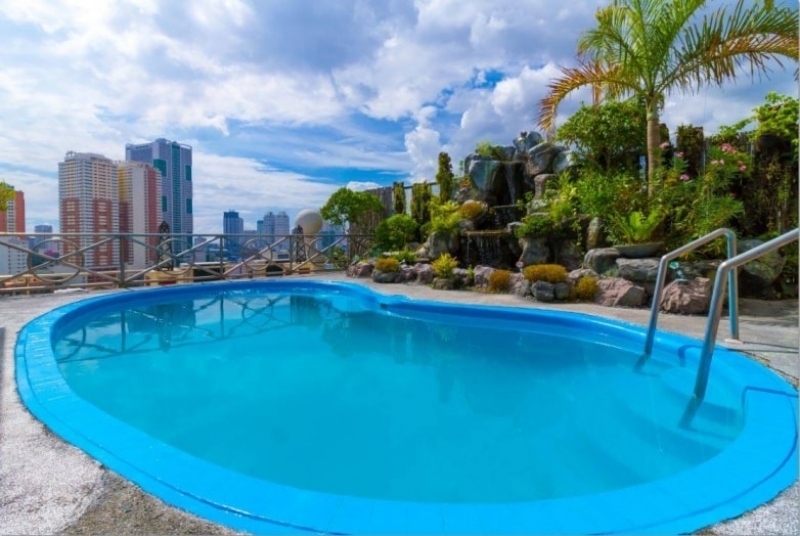 It features a rooftop plunge pool area where you can admire the Manila skyline, as well as 49 guest rooms where you can have a much-needed alone time with your partner. Furthermore, the hotel is proud to have Café Romançon and Vatel Restaurant. 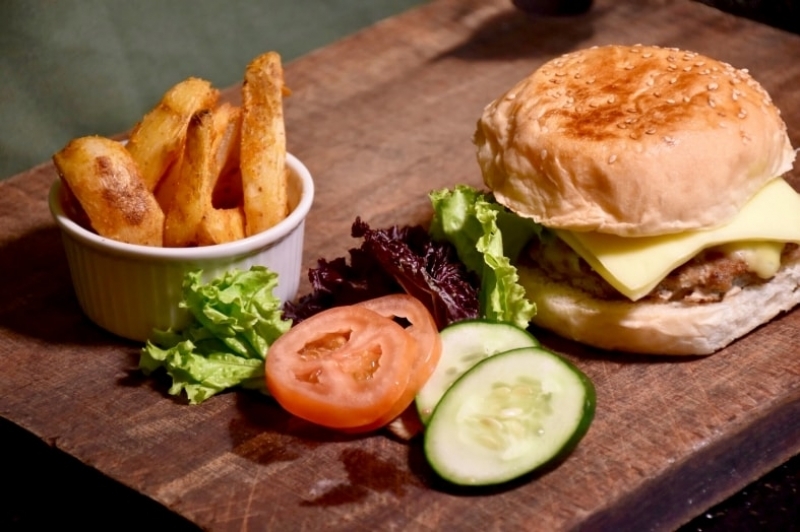 Named after prominent figures, both restaurants serve hearty and affordable meals in casual or formal set-ups. 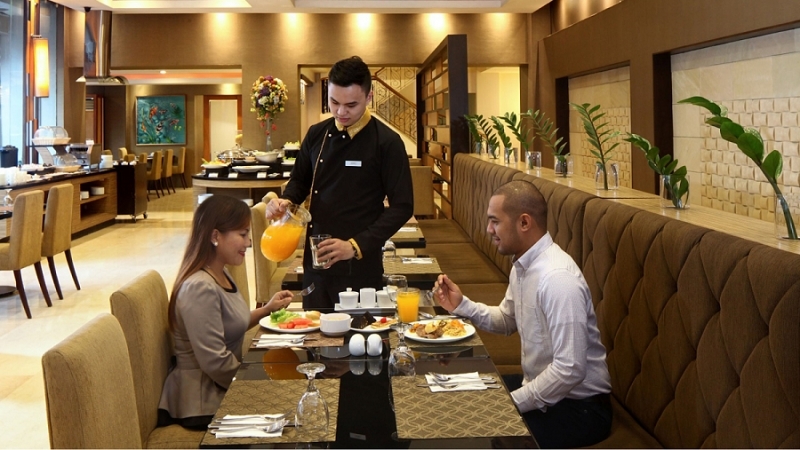 So whether you're a couple on the go or in the mood for a traditional fine-dining experience, Hotel Benilde Maison De La Salle has something for you. Don't miss out on Hotel Benilde Maison De La Salle's outstanding cuisines and hospitality services this season of love! Invite your partner to their special Valentine Dinner Buffet for only ₱1,699 each and get one-round of non-alcoholic beverage. That's not all! Hotel guests will also get 20% discount, while dining ladies will receive a surprise token from the hotel! 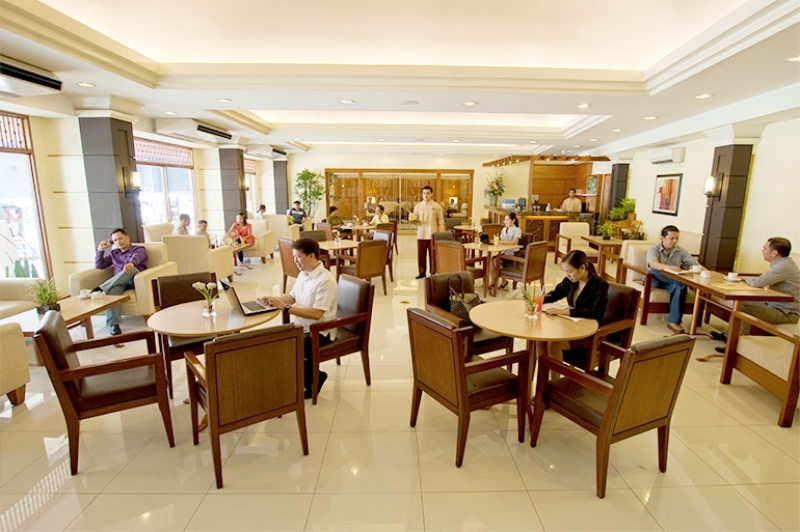 Learn more about Hotel Benilde Maison De La Salle on TripZillaSTAYS. One of the more couple-friendly cities in the Philippines, Makati presents a roster of top-rated hotels perfect for a contemporary staycation. One of which is the 30-storey Raffles Makati, a long-established symbol of elegance in the city. It boasts an outstanding hospitality team that will make you want to stay longer! Not only that, the hotel is home to six dining destinations, all of which make an ideal spot for a romantic dinner date. We definitely recommend the newly opened Mirèio. It's a brasserie-style restaurant inspired by the late French poet Frederic Mistral and his love for his home province of Provence in France! 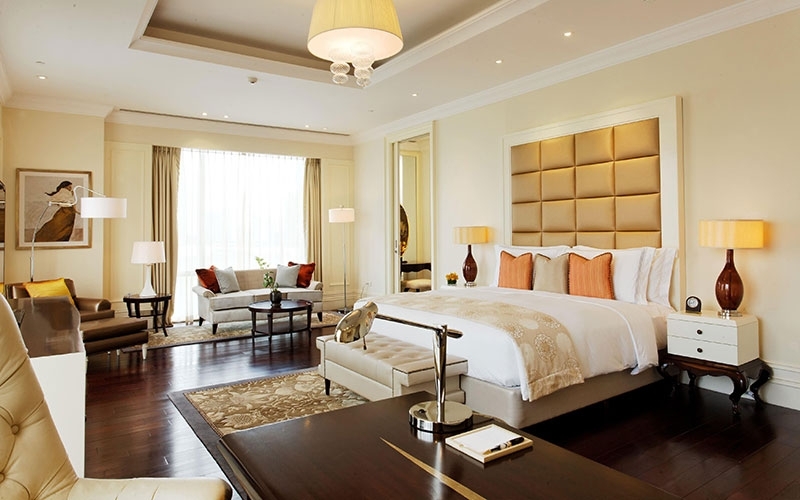 Romance and luxury make an unbeatable combo at Raffles Makati. Avail its Magic Moments in Makati special offer for a chance to experience a luxurious evening of champagnes, strawberries and exotic teas. Plus, you can experience sleeping in one of the hotel’s luxurious suites! Just like wine, Sunny Bay Suites proves that even a hotel can grow more beautiful as it ages. With over 30 years in the hospitality business, the hotel remains steadfast in providing a home-like experience to its guests with modest yet well-appointed rooms. Choosing either of the Corner or Penthouse Suites will give you views of the newly rehabilitated Manila Bay, which is undeniably an experience on its own. 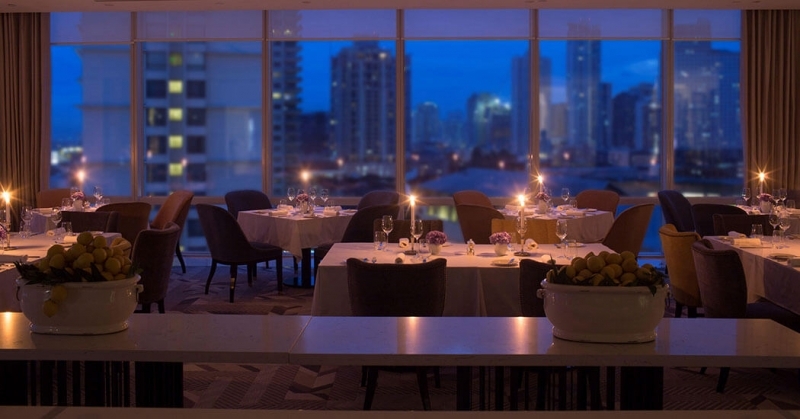 With the hotel’s location along Roxas Boulevard, you won’t have a hard time finding a place to spend a unique dinner date, no matter what you or your partner’s cravings are! In fact, Binondo, CCP Complex and Taft Avenue are just a short taxi or tricycle ride away. Palawan isn’t just known for its breathtaking outdoor sceneries, but also its people. And if there’s one place you can experience their true hospitality in your short stay on the island, it’s The Legend Hotel Palawan. With or without a tour package (courtesy of its own travel agency), you’re still guaranteed a fun time with your partner. That's all thanks to the hotel’s beautiful Palawan-inspired accommodations, swimming pool and restaurant. Tanglaw Restaurant is famous for its signature Banana Bread. It's so popular that it has already been featured on national television! At 980 grams, it could very well keep you and your partner filled up for the rest of the night. 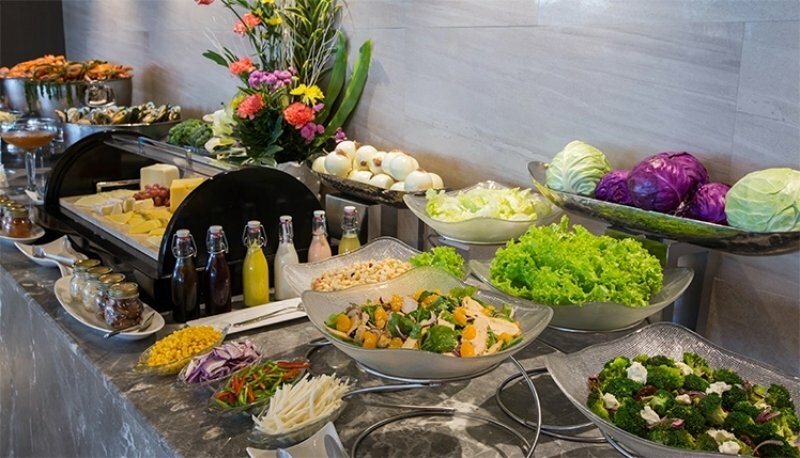 The hotel also serves snacks from 6am to 10pm every day, which you just can't miss! Indeed, Palawan's pristine landscape is a terrific backdrop for a Date Night with your special someone. So make your way to Tanglaw Restaurant from 13 to 15 Feb 2019 and relish a three-course dinner for just ₱795 each! A big Valentine's Feast worth ₱450 will also be served at Lanai on 14 Feb 2019. And, you might've guessed it — guests of both venues will be serenaded by live musical performances EXCLUSIVELY on Valentine's Day. Sweet! Learn more about The Legend Hotel Palawan on TripZillaSTAYS. 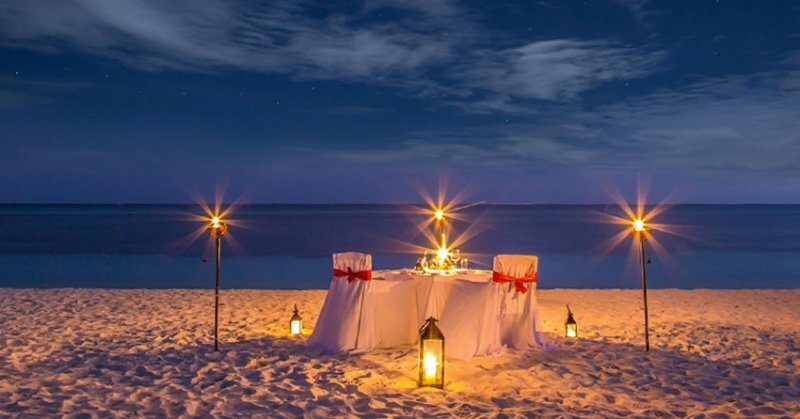 Beaches are easily the most romantic places on Earth, which is why beachfront resorts are a no-brainer when it comes to a couple’s getaway. 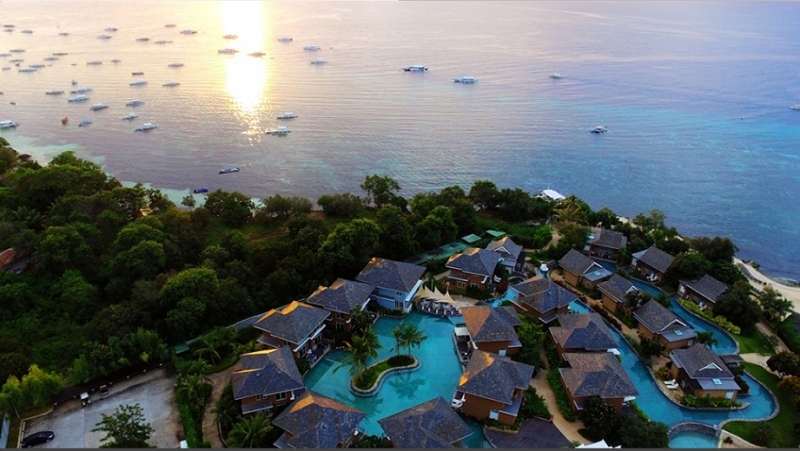 BE Grand Resort on the island of Bohol is no exception. All four of its accommodation categories provide views of the sea and pool. They also have a natural airy ambience that will make you forget the existence of a thing called air-conditioning. 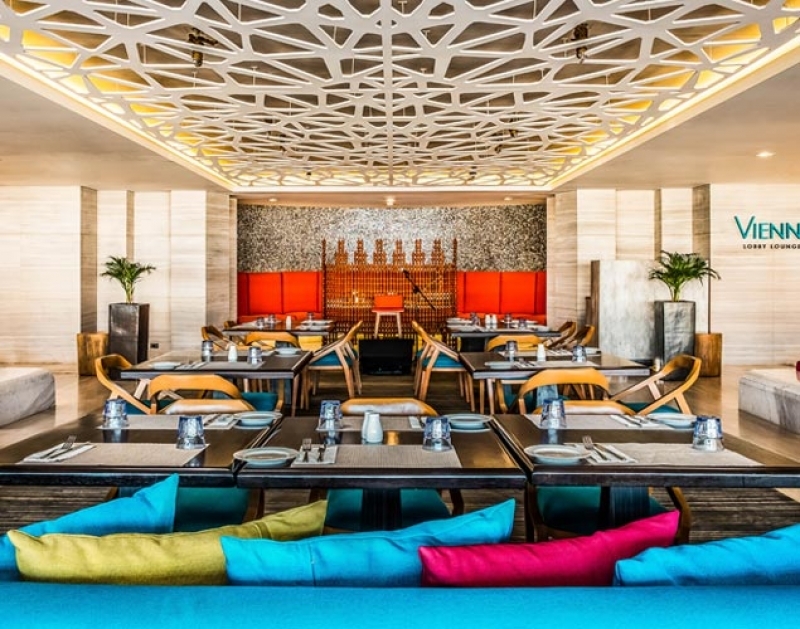 While there are indeed plenty of things to do in the resort, you and your partner can benefit the most from its dining options. For a dining experience unlike any other, head to the al fresco lounge of Lune. With boundless nature views and an impeccable lineup of cocktails, it’s the perfect place for a gastronomic date away from the hustle and bustle of the city! They say that some of life’s most beautiful things come in threes. And BE Grand Resort agrees! Enjoy a FREE extra night when you book two nights in an Oceana Suite with A Suite With a View. This entitles you to a complimentary use of select water-based facilities, daily buffet breakfast for two and ₱300 dining credits! What better way to experience the “new” Boracay than a staycation in one of the island’s most fashionable hotels? 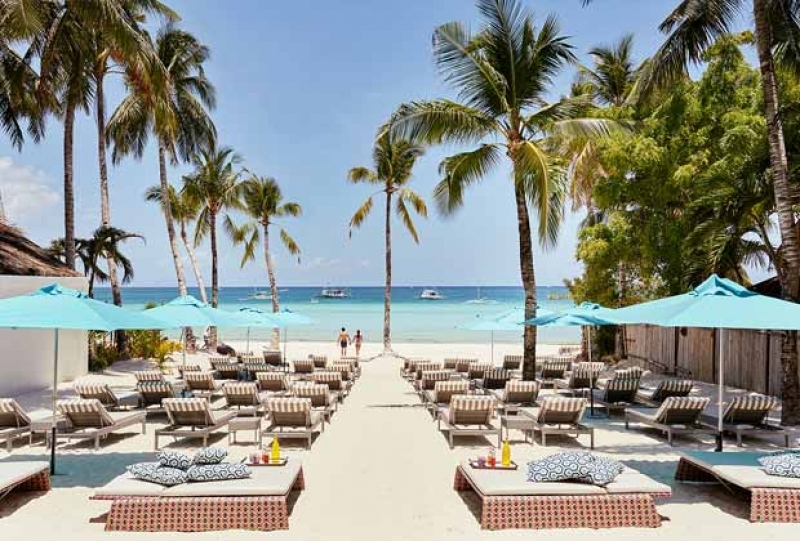 Truly, The Lind Boracay captures the essence of this world-renowned island through its relatively untouched vibe (it’s located far from the usual island crowd). Each room has a private balcony and 32-inch LCD cable TV for your daily amusement. Come dinnertime, the playful ambience of the hotel turns more romantic. It’s certainly a marvellous time to bond over food with your lovey-dovey. Start with the signature pairing of pizza and pasta at the Crust Beach Bar and Restaurant, followed by a glass of classic wine at +36. Along with breakfast place Tartine, all of the hotel’s restaurants pride themselves of using purely sustainable ingredients! Get ready to say Gong Xi Fa Cai with your partner at The Lind Boracay as the hotel welcomes the Chinese New Year with a brilliant spread of Chinese food at both Crust and Tartine. Also, get the BEST price guarantee by booking a room directly through the hotel’s website! As Boracay takes on a more laid-back character, take this opportunity to embrace a different side of the island, specifically, at Savoy Hotel Boracay. 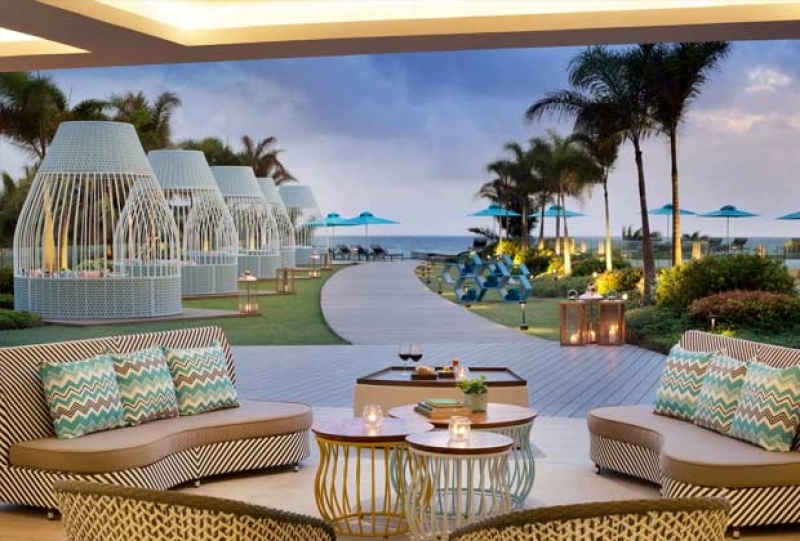 Besides being a few minutes walk from the quiet Newcoast Beach, it has a massive swimming pool framed by a pool bar, cabanas and pavilions all set to accommodate you! Whether you take delight in dining in an intimate indoor setting or with a view of the night sky outdoors, you will be impressed by the hotel’s superb dining packages. Begin with appetisers at Vienne Lobby Lounge, then continue with a full meal at Savoy Cafe, which offers both indoor and al fresco dining options. Finally, wrap up with a nice glass of cocktail at the Chambery Pool Bar! 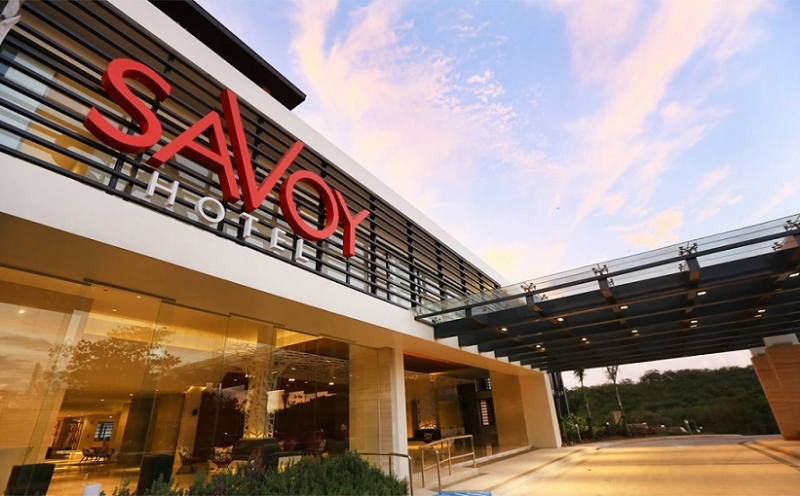 All of Savoy Hotel Boracay’s amazing facilities are yours for half the original price! Yes! For a limited time, you can enjoy 50% off your stay in the hotel. This is already inclusive of free breakfast, welcome drinks and use of the hotel gym and pool! The province of Albay has more passion than most people give it credit for. And for couples who adore the idea of a mostly undiscovered paradise, Misibis Bay is a great place to start. Accessible in less than two hours from Manila via plane and fast craft, this private island resort overlooks the iconic Mayon Volcano, as well as the ocean, pool and garden. Apart from its restaurants, Spice Market and Sula, the resort offers a range of private dining experiences to suit every couple’s preference. We especially love the sunset cruising, candlelight dinner and stargazing options! You’ll definitely feel the love tonight (and just about every other night) when you stay in the stunning Misibis Bay resort! With Love Is In The Air, you and your special someone can relish in a five-course dinner and a number of water activities in a 3D2N package! 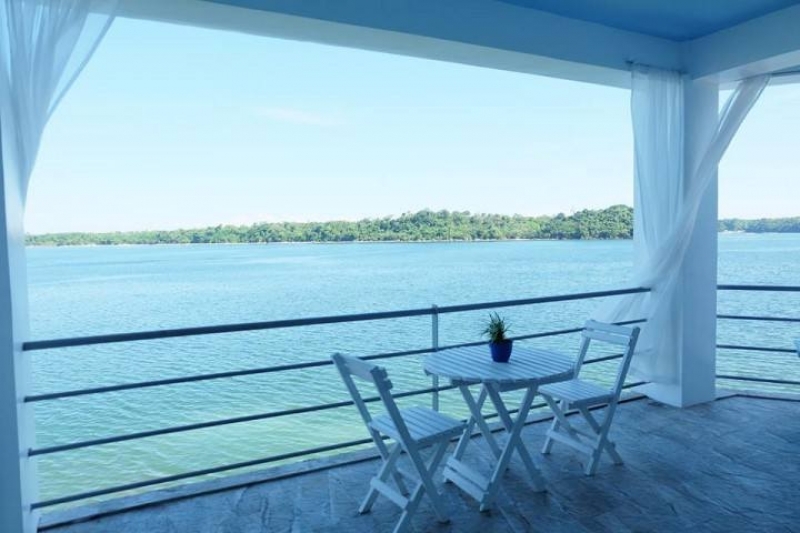 Romantic getaways are not exclusive to the Visayas region of the Philippines, as this new resort in the province of Pangasinan shows. According to its website, Sundowners Vacation Villas Bolinao’s architecture was inspired by the houses of Santorini. This isn’t the first time a resort in Asia has done so, and it isn’t hard to understand why. It has several spacious villas that each come with a spacious balcony. 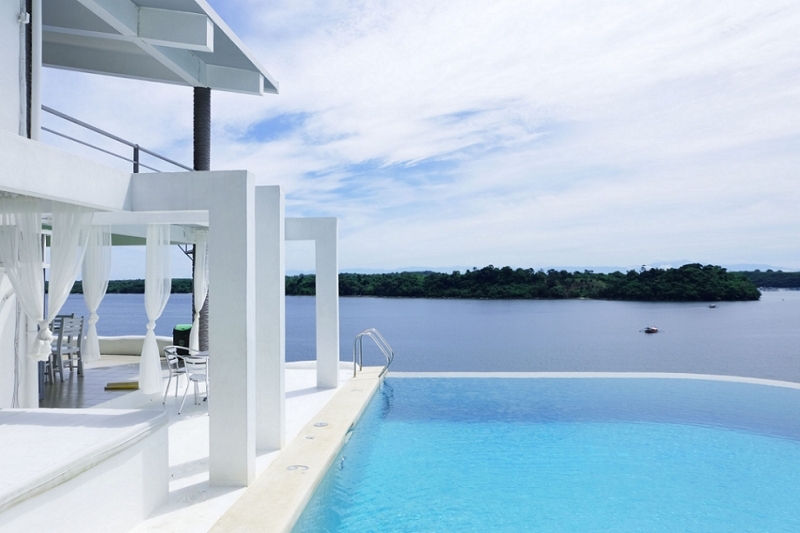 Plus, an infinity pool that’s simply to die for! Tired of the usual combination of Filipino, Asian, French or Italian dishes? The resort has got you covered. Get lost in romantic Mediterranean flavours as you dine al fresco in your villa or at NYKōS Kitchen+Bar. The experience will be hard to get over, for sure! There’s not a minute to waste. Grab these amazing hotel staycation opportunities and enjoy a romantic time with your special someone — anywhere in the Philippines! 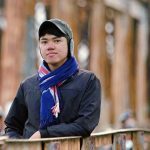 For more staycation ideas in the Philippines, check out TripZillaSTAYS.